Please note: Doctoral theses (published since 2007) can be downloaded here. Clarence-Fincham, J. (1998), Voices in a University: a Critical Exploration of Black Students Responses to Institutional Discourse. Joint supervision. Shariff, Patricia Watson (1998) Dialogue Gender and Performance: Producing a Rural South African Comic beyond the Learner Paradox. University of the Witwatersrand. Susan Starfield. (2000) Making and sharing of meaning: The academic writing of first-year students in the Department of Sociology who speak English as an additional language. Kilalea, M. (2000) Patterns of Communication in Collaborative Teaching. University of the Witwatersrand. University of the Witwatersrand. Prinsloo, J. (2002) Possibilities for critical literacy and exploration of schooled literacies in the province of Kwazulu-Natal. Hendricks, M. (2006) Writing Practices in Additional Languages in Grade 7 Classes in the Eastern Cape Province. Kamuangu, G. (2007) Language, immigration and ethnicity: The choice of language in DRC immigrant families. 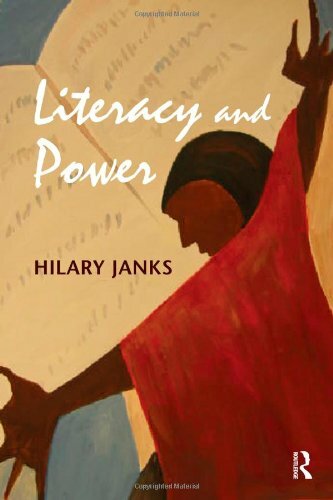 Dixon, K. (2007) Literacy, power and the embodied subject. Dornbrack, J. (2008). Reflection as a tool for managing difference in the post-apartheid classroom. Dison, L. (2009) Higher order thinking in transition: a case study of English Foundation courses for first time first year students. Jacinta Ndambuki (2010) Representation of women’s needs: A case study of Makueni Constituency, Makueni District Kenya. Yvonne Reed (2010) Mediating knowledge and constituting subjectivities in distance education materials for teachers in South Africa. Aloysius Conduah (2012) (Co-supervisor). Language Immigration and Employment: the Case of the Ghanaian in Johannesburg. Ana Ferreira (2013) Subjectivity and pedagogy in a context of social change. Antoinette Gennrich (2015) Teachers’ changing literate habitus – a journey. Navan Govender (2015) Negotiating the gendered representations of sexualities through critical literacy. Please note: Masters research reports and dissertations (published since 2007) can be downloaded here. Dison, L. (1989) M. Ed research report. Teaching Writing to English Second Language Learners. University of the Witwatersrand. Distinction. Orsmond, C. (1995) M Ed by dissertation. The Role of Movement in Facilitating Language Acquisition. University of the Witwatersrand. Distinction. Granville, S (1996) MA in Applied English Language Studies dissertation. Reading Beyond the Text: Exploring the Possibilities in Critical Language Awareness for Reshaping Student Teachers Ideas about Reading Comprehension. University of the Witwatersrand. Distinction. Lodge, H. M. (1997) MA in English Education Research Report. Providing access to academic literacy in the Arts Foundation Programme at the University of the Witwatersrand in 1996 – The theory behind the practice. University of the Witwatersrand. Distinction. Roberts, J. (1997) M Ed research report. A study of the development of institutional language policies in two Gauteng primary schools. University of the Witwatersrand. Roseline Adegoke (1999). MA in English Education Research Report. Media Discourse on Foreign Africans and the Implications for Education. Distinction. Regina Mathabe Chabisi (2000) MA in English Language Education Research Report. The Construction of English as a school subject in Form D and E levels in Lesotho Secondary Schools. Tracey McCormick. (2002) Master’s research report. An investigation into gendered access to engineering discourse at a vocational institution. Ana Ferreira (2003) Master’s Research Report: Doing diversity in a homogeneous classroom through the medium of film: problems and possibilities. Distinction. Zach Simpson (2009) Master’s Research Report. Becoming a writing consultant: The initial experiences of working in an academic Writing Centre. Distinction. Helen Morgans-Wenhold (2009) Master’s Dissertation.The attitudes of Deaf Adults in the area of Johannesburg to writing in English as a second or third language. 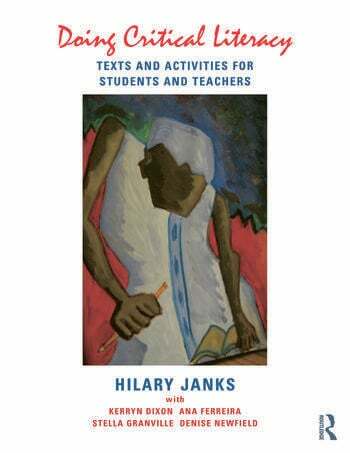 Hilary Wilson (2012) The reading of self-help books by Intermediate Phase teachers in Gauteng Primary Schools. University of the Witwatersrand. Stacey Goodall (2014) How two Afrikaans textbooks for learners in Grades 4 and 7 construct child. University of the Witwatersrand.